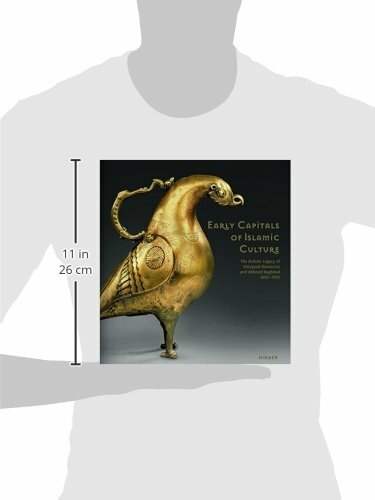 Early Capitals of Islamic Culture reproduces archaeological materials and selected masterpieces from the first centuries of Islam that, together, chart the transition from pre-Islamic to Islamic culture. Showing how ancient techniques and aesthetic practices were adapted alongside the appearance of bold new innovations, the book provides deep insights into this fascinating period of art and cultural history. Published to accompany a major joint exhibition of the Sharjah Museums Department of the United Arab Emirates and the State Museums of Berlin, which hold a particularly rich collection of early Islamic art and artifacts and have among their aims the raising of public awareness about the achievements of early Islamic culture, the publication of Early Capitals of Islamic Culture also celebrates Sharjah’s recognition as Islamic cultural capital for 2014.